Ingredients: water, Plantapon, calendula, yarrow, elder flower, raspberry leaf, & linden flower infusions, xanthan gum, lemongrass, palmarosa, & rosewood essential oils, propylene glycol, diazolidinyl urea, & iodopropynyl butylcarbamate. 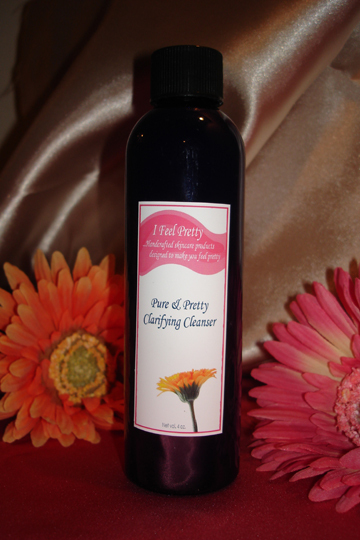 The Pure & Pretty Clarifying Cleanser is appropriate for oily, acne-prone skin. If your skin is sensitive, you might prefer the Gentle Cleanser. 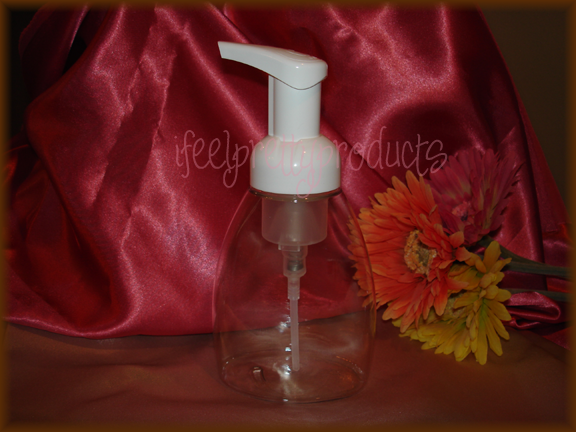 Both cleansers are mild, so you may be able to use either one without any problems. The pH of both cleansers is between 5-6, so you can apply your BHA product right after cleansing. Elder flower - soothes irritation, promotes healing, has antiseptic properties, & promotes a clear complexion. Lemongrass essential oil - has antiseptic and antibacterial properties; good for oily, acne-prone skin. Palmarosa essential oil - regulates oil production, helps clear acne, stimulates regeneration of cells, discourages wrinkles, and soothes inflammation. Rosewood essential oil - stimulates new cell growth, regenerates tissue, minimizes lines & wrinkles, soothes sensitive skin, balances oil production, and can help clear acne.